Jim Guida is the winner of last week’s contest to come up with funny dialogue for today’s comic. If you’re familiar with the James Bond series (particularly Goldfinger) you’ll probably see why I liked this joke so much. 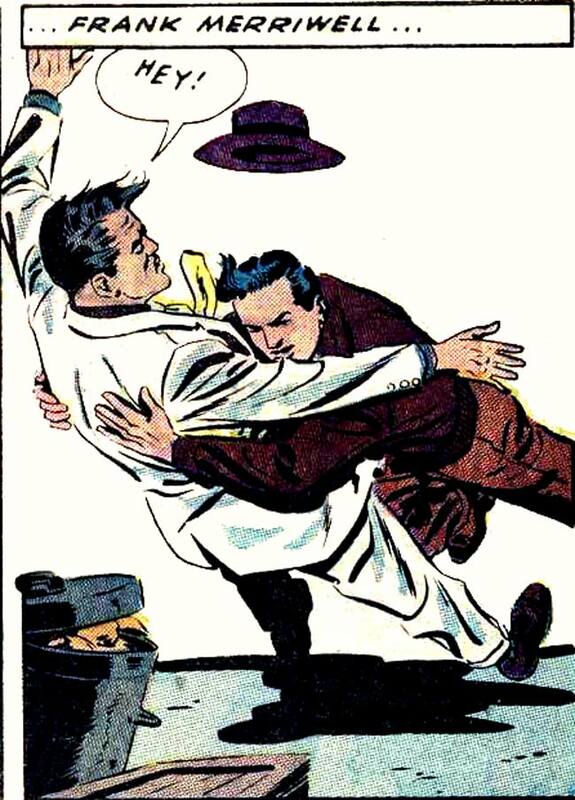 The thing that gave Jim the winning edge was that he even managed to incorporate Oddjob’s flying hat into the gag. Well done, Jimbo! SCENE: Man #1 tackling Man #2. There’s a hat flying above them. MAN #1: Get down, Mr. Bond! Oddjob is back! SCENE: Man #1 tackling Man #2. There's a hat flying above them.